Well… Q1 was a complete wash. I managed to get ZERO of my proposed finishes done. What can I say? Sometimes things just don’t go at all as planned. So I’m carrying many of my proposed finishes over to Q2, and adding a few new ones. I made myself a little cheat sheet to keep me on track. (And to remind me I have plenty to do without starting more new projects!). Fingers crossed, I’ll do better than I did in Q1… Then again, I really can’t do any worse! So… I’m adding a new rule to my list– No starting a new project until I finish an old one. Should be easy enough, right? Right??? That’s why I’m excited to be joining in on the 2015 Finish-Along, hosted by the fabulous Adrianne of On the Windy Side. 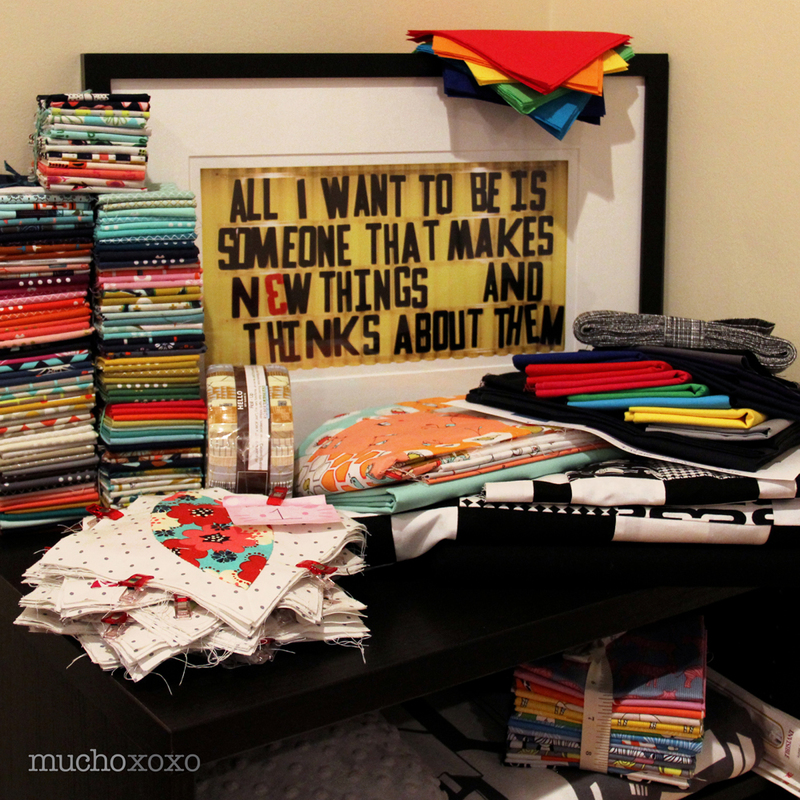 I could definitely use a little push to get my WIPs done and clear my mind (and sewing table) for new projects! high tea quilt – top is finished, need to make backing, quilt & bind. orange peel quilt – peels done, need to finalize layout, quilt, etc. washi bag – pattern cut, fabric picked, just need hardware. secret quit #1 – top is finished, need to make backing, quilt & bind. secret quilt #2 – need to finish top, make backing, quilt & bind. 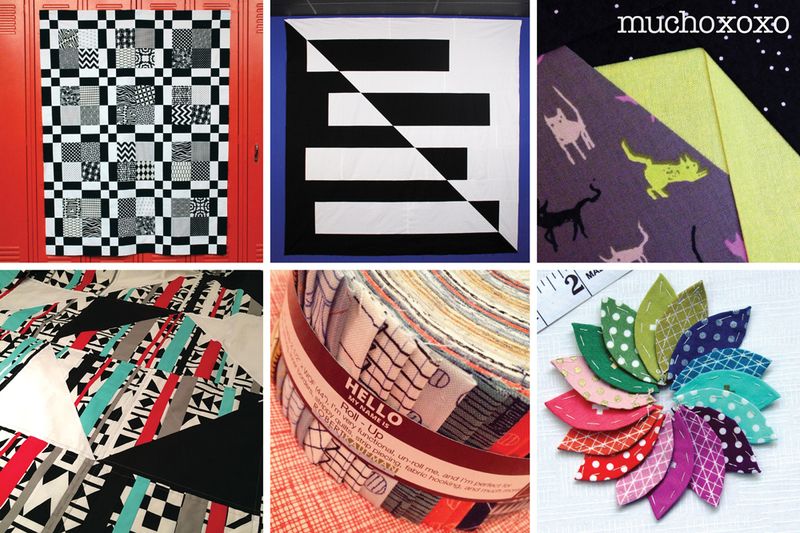 secret quilt #3 – pieces cut, have a vision, now just to make it. secret quilt #4 – have fabric and pattern, just need to cut and go! charity quilt – top is finished, need to make backing, quit & bind. 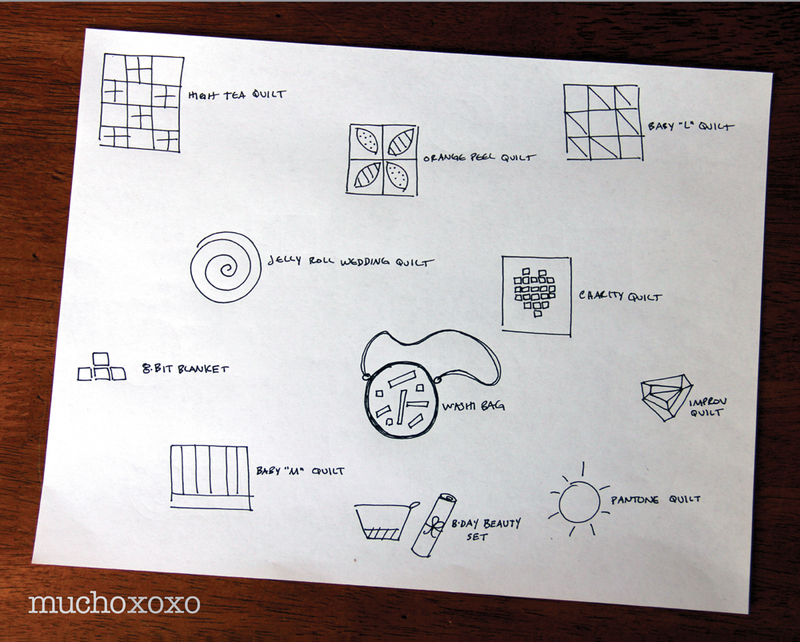 secret baby gift #1– fabric cut, need to assemble. secret baby gift #2 – pieces mostly cut, need to assemble. improv quilt– top almost done(? ), need to make backing, quilt & bind. 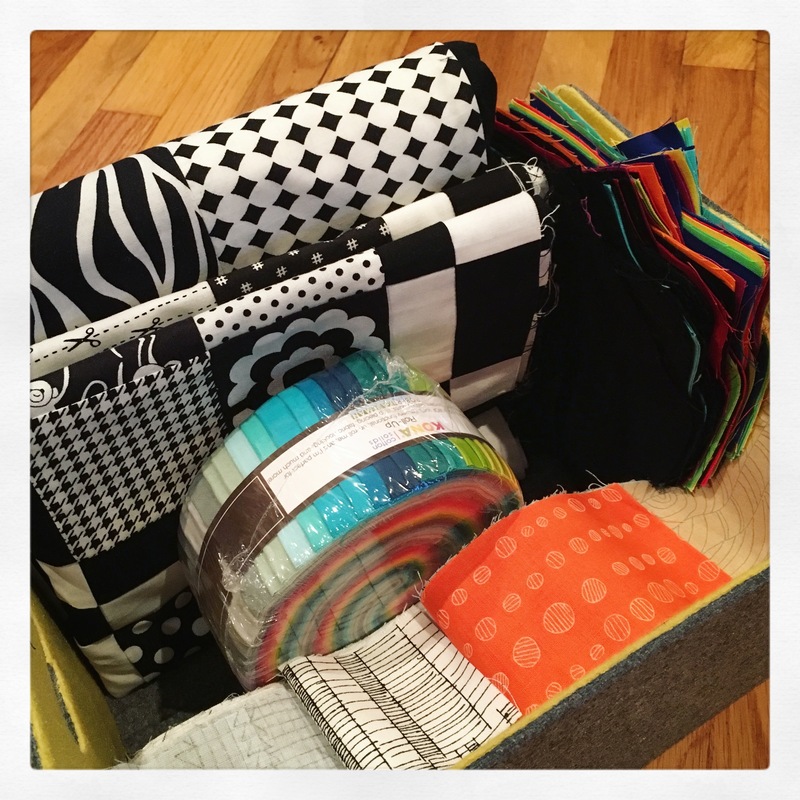 super tote – pattern cut, fabric picked & prepped, time to make it! zippy top for me! – have pattern and fabric, just need a zipper. As you can see, there’s a lot of top secret sewing happening these days, hence the lack of specifics. Although I did leave a few clues in the picture… So many gifts, so little time! I also made sure to include some personal projects, and I’m going to do my best not to demote them to last priority. 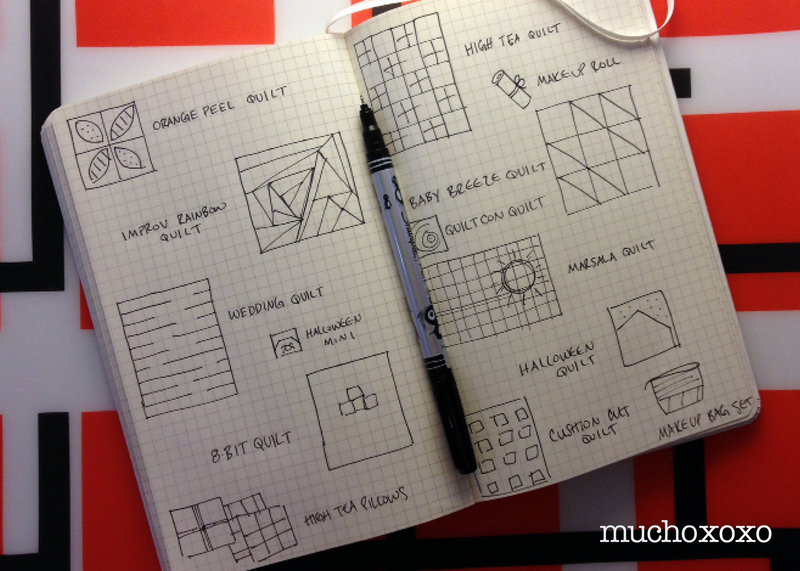 Do you have a pile of half-finished projects that are just begging to be completed? Why not join in! More info on the finish-along and how to get involved can be found here.